British Lichen Society. 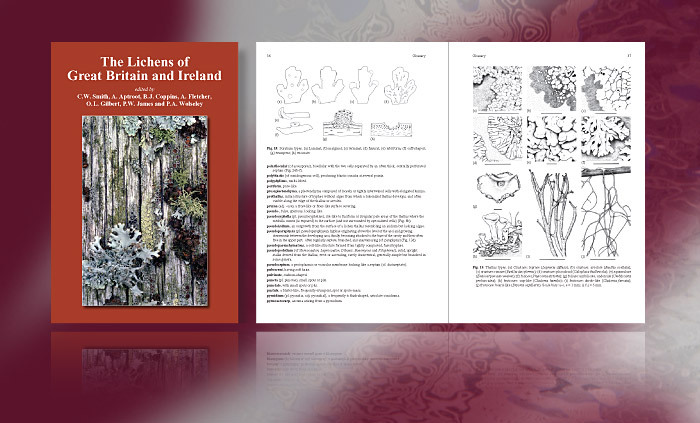 The Lichens of Great Britain and Ireland, BLS. 1046pp hardback book. Design and origination. I am particularly grateful for your participation in the production stage of the ‘Flora’. You converted a ‘suet pudding stodge’ into an airy text that does not overtax the eye. The limitations facing you were formidable but you succeeded admirably – thank you. I appreciated your patience with me and your willingness to work long distance. Dr. Clifford W. Smith Department of Botany, The Natural History Museum, London and Department of Botany, University of Hawaii at Manoa, Honolulu.